Tiffany Zajas Photography: our valentine's celebration. Our day started out nice and slow...we had coffee, ate breakfast, and played Wii Sports Resort together. :) When it was time for lunch, we headed to my favorite spot, Baja Burrito. We both got their briscuit burritos with street style corn. Yep, probably the best food ever! While we were there, Jonathan commented "How many pictures can we take of us eating burritos at this place?" hehe, is that a challenge my dear? 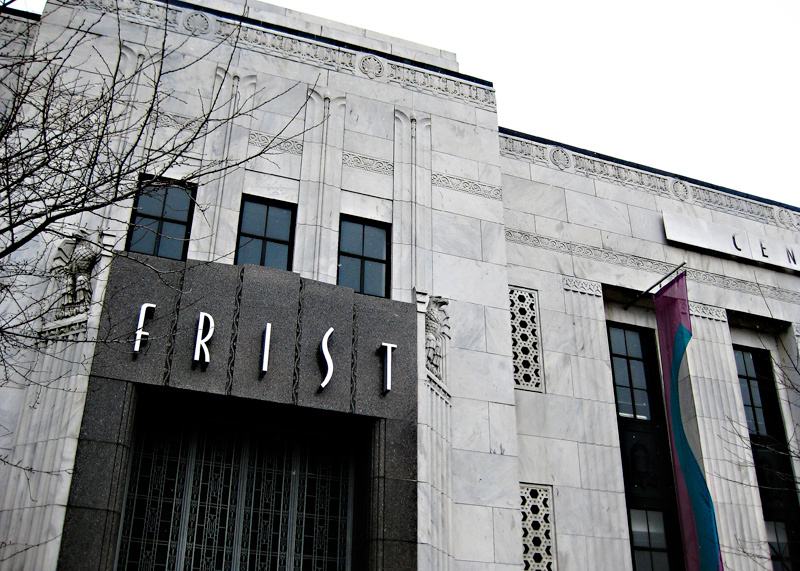 After our scrumptious lunch we went to the Frist Center for the Visual Arts! We've been wanting to go there for a while, and it was one of my 101 in 1001 goals (which is now crossed off, yay!) 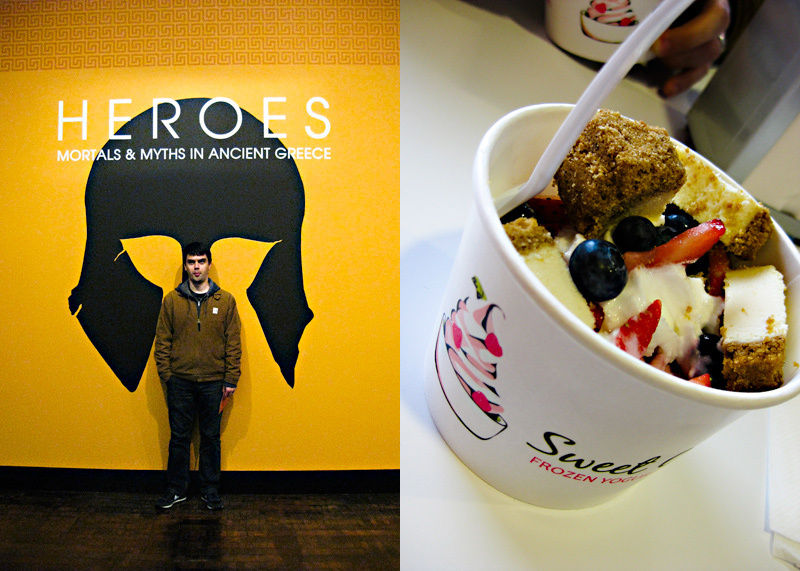 The Frist had a really cool exhibit called "Heroes" which featured ancient artifacts from Greece that had to do with mythology of Greek heroes. We loved it. It was awesome. Next stop: Sweet CeCe's of course! For Valentine's my parents sent us a thoughtful gift certificate to go to our favorite sweet spot. Our tummies were happy! We then went to the movies (which is one of our favorite things to do together...we love the whole theater experience!) Jonathan was so sweet and sacrificial and agreed to go see a chick flick with me. We saw When in Rome, which was cute, fun, and light-hearted. To finish off the night, we got Cheesecake Factory (another one of my favorites) to go! Since our very first Valentine's Day together (which was 5 years ago...wow) we've always dined in for our celebration...and I love it! Makes for a less-crowded more quiet time together. I hope you all had a great Valentine's Day, President's Day, and entire week! I really can't believe that this week is almost over already...time is flying by way to fast these days.